After seeing lots of blogposts raving about how great (and affordable!) 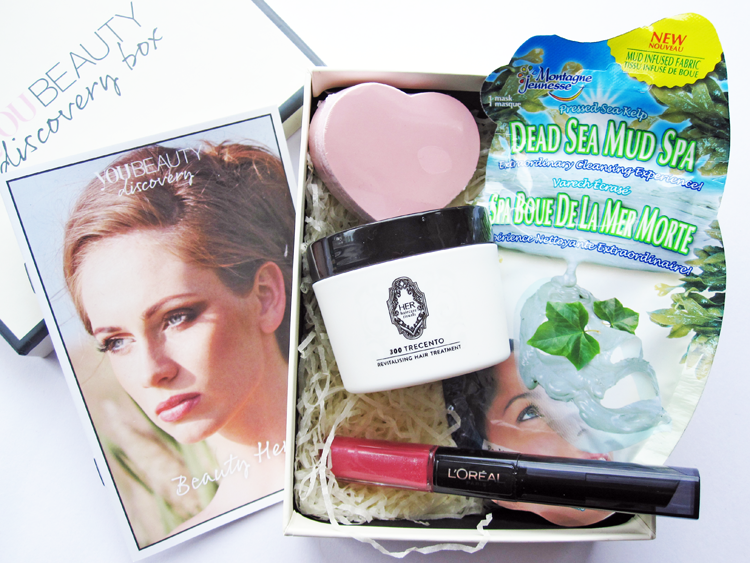 the You Beauty Discovery Boxes are, I decided it was high time I checked them out. For those of you who haven't heard of You Beauty Discovery before, it's a monthly beauty box where you get to choose 2 products from a selected menu. There's usually always around 8 or so different products to pick from, but if you don't like any of them, you can simply cancel your subscription that month and then sign up again the month after. As well as the 2 products that you choose yourself, YBD throw in some little extras as well - mostly beauty, food and lifestyle related treats. Best of all, the box is only £6.95 including p&p which is a bargain! I've seen some positive reviews from Youtubers and bloggers about this hair mask, so I'm really excited to try it out. It aims to eliminate frizz, hydrate dry lengths and ends, strengthen follicles and give extra shine to the hair - sounds good to me! I will give this a go and mention my thoughts on it in a future 5 Mini Reviews post. With Summer finally here, I've been shuffling around my makeup and pulling out the more 'longer wearing' formulas to work with hot sunny days. This lip product jumped out at me with its 24 hour claim and yes, it really does live up to it! I chose the shade Timeless Rose which is a pretty non offensive pink. It's a little too glittery to wear for everyday, but I love it for the evenings. On one end you have the liquid colour and on the other you have a moisturizing balm which comes in very handy. This is a fab face mask that has a clay formula infused into a bamboo fabric sheet. I've used one of these before and it's great for drawing out impurities and clearing up congested, blemished skin. A good little standby to have in your bathroom! I thought this was a cute and practical extra to include - have popped mine in my travel bag for my next weekend away. 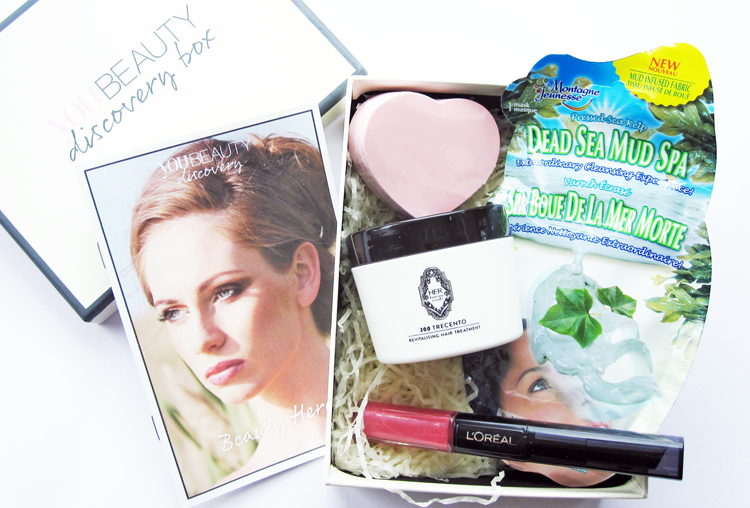 I love the You Beauty Box, such good value for money!